U.S. Sen. Pete V. Domenici, the longest-serving senator in New Mexico history, invested many years in NMSU to shape and educate students and the community on public policy. 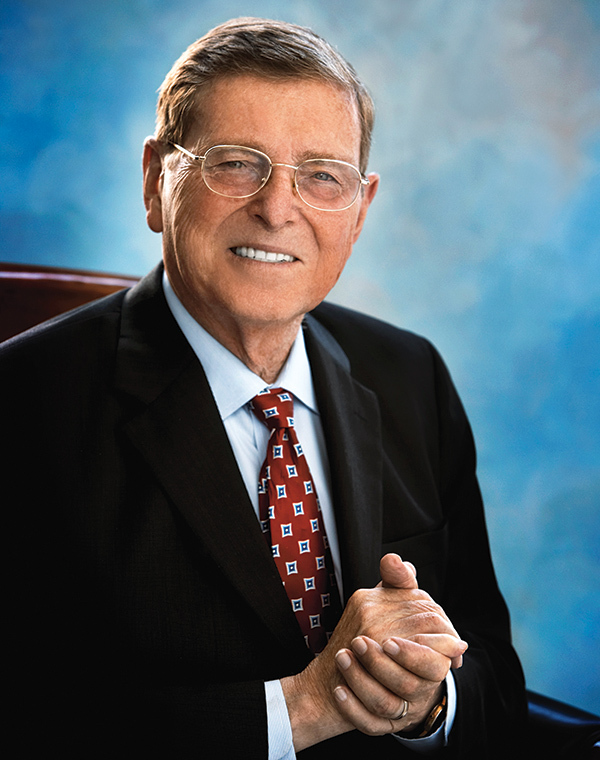 The longest-serving senator in New Mexico history, U.S. Sen. Pete V. Domenici retired in 2008 after serving 38 years. As a senator, Domenici was very focused on issues such as energy and natural resources, behavioral health and budgetary matters. He was a longtime chairman of the Senate Budget Committee, member of the Senate Appropriations Committee and chairman of the Senate Energy and Natural Resources Committee. His leadership and expertise eventually led to the creation of the Domenici Public Policy Institute at New Mexico State University in 2008 to conduct public policy research, provide outreach with entrepreneurship and business incubation, assist in maintaining the Domenici Archives at the NMSU Library and sponsor an annual public policy conference. The Domenici Institute was the first of its kind in New Mexico. Pete V. Domenici Hall, which opened in fall 2014, transformed the university’s Hershel Zohn Theater into a facility that houses NMSU’s Domenici Institute for Public Policy, making it the third building on campus used by the College of Business. Domenici Hall uses state-of-the-art audio-visual technology and houses one of the few large auditoriums on campus, increasing classroom space capacity and creating a new venue for forums, seminars and other large meetings often open to the campus and community. The 11th Domenici Public Policy Conference will be Sept. 12-13 in Las Cruces. The topics for the 2018 conference include national defense, immigration policies and evolving political landscapes of New Mexico and the nation.